On May 1st, 1886, 40,000 workers in Chicago—and half a million across the United States—participated in a three-day general strike demanding an eight-hour work day. A week-long struggle resulted between protesters and police, and ultimately eight protesters were arrested, convicted without evidence, and executed. Their executions are widely regarded as some of the most overt political assassinations of radicals in North America, and May 1st has since been marked as International Workers Day in their honour. Since 2006, May Day has also been widely marked as a day to protest racist immigration policies in Canada and the United States and demand status for all. Strikes, pickets and protests take place around the world on May 1st to honour and celebrate the struggles of workers, immigrants and poor people all over. In Kingston, we are gathering for May Day for the sixth consecutive year. Join us at noon for a free BBQ in Skeleton Park followed by a spirited march downtown. Come hungry and bring your neighbours, co-workers, classmates and friends! U.S.-based anarchist writer Paul Z. Simons is touring Eastern Canada to speak about his recent trip to Rojava, a predominantly Kurdish region in what was once northern Syria that is being reorganized according to the principles of democratic confederalism. He will discuss his experiences in liberated territory, the challenges of building an egalitarian stateless society, and how we can learn from and support the Rojava Revolution. How have millions of people tried to organize themselves along more egalitarian lines, moving power to local councils? What does it mean to organize for collective armed resistance without re-creating hierarchy? How do processes of structural and economic change relate to a change in social relations and questions of power in daily life? 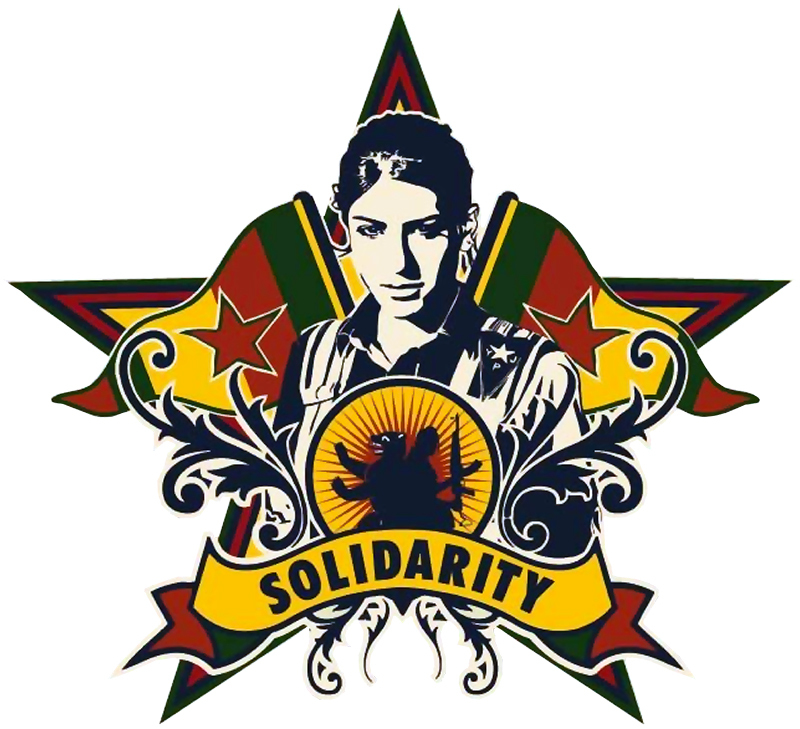 What can anarchists and others in the West do to show solidarity to revolutionaries in Rojava and throughout the Syrian territory? Paul’s presentation will touch on these questions, as well as provide descriptions of daily life and the impacts of war in Rojava. 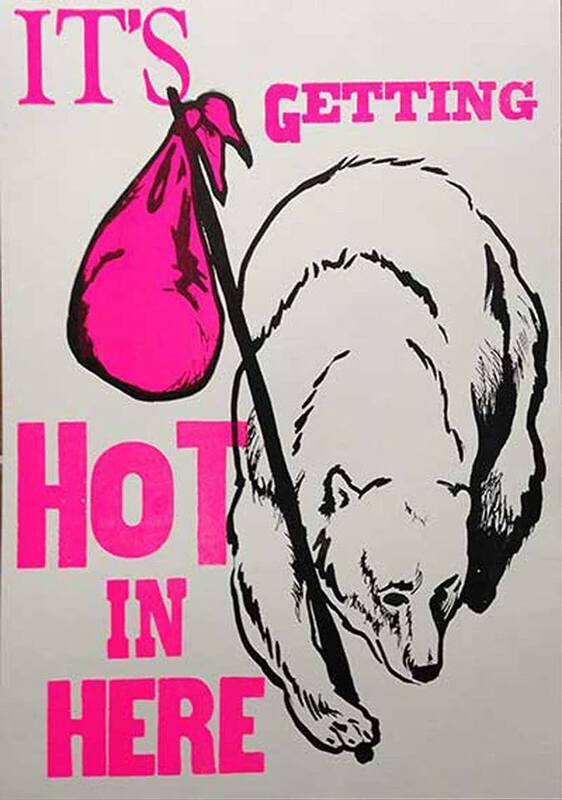 January 16, 2016, 1:30-4:30 p.m.
Union Gallery presents: Poster ACTION. The Union Gallery invites you to join artist and OCAD University faculty Mary Tremonte for an interactive poster-making workshop with an activist slant. Using insight and techniques gained from her longstanding role as a community-based artist and co-founding member of Justseeds Artist Cooperative—a global network of activist print-makers—Mary will facilitate opportunities for participants to engage with a broad range of artistic strategies and representational materials over the course of the afternoon. 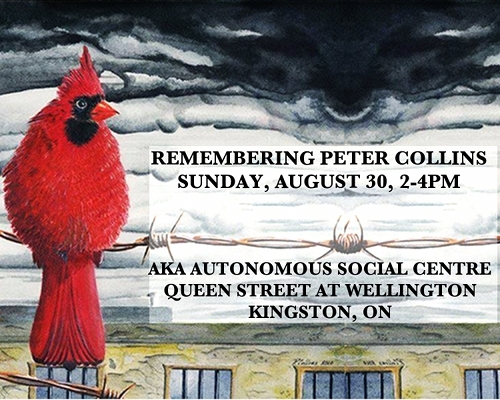 Focusing on prison abolitionism as the overarching theme—an important consideration for a city like Kingston that houses multiple operating and non-operating prisons—participants will be able to donate their posters to prison justice groups, or post them around the city. A selection of the posters will be displayed in the project room of the Union Gallery in 2016. Mary Tremonte is an artist, educator, and DJ based in Toronto via Pittsburgh. She works with “printmaking in the expanded field,” including printstallation, interactive silkscreen printing in public space, and wearable artist multiples such as queer scout badges. Mary has exhibited, presented lectures and workshops, and performed in Toronto, Pittsburgh, throughout the United States, and internationally. Through her work she aims to create temporary utopias and sustainable commons through pedagogy, collaboration, visual pleasure and serious fun. There is limited space so please email ugallery@queensu.ca to register and drop by the gallery to make your payment by January 12, 2016. UPDATE: CALL-IN CAMPAIGN HAS NOW WRAPPED UP WITH SOME SUCCESS. PLEASE SEE https://gviwatch.wordpress.com FOR MORE INFO. We received word of this from our friends in Southern Ontario. Please forward and share this call-in campaign details with your networks, supportive churches or activist groups. Sharing it is super important, but please give the prison a call yourself too. BEING QUEER IS NOT A CRIME! At Grand Valley Institute for Women (GVI), a federal prison in Kitchener, Ontario there has been a recent crackdown against LBTQ2+ prisoners and/or prisoners in relationships amongst themselves. Intimate relationships between prisoners are being attacked by a clique of guards acting without apparent direction or oversight from the Corrections Canada administration. We need your support with a call-in campaign to end these practises. We are thrilled to host the Kingston launch of Lumpen. Don’t miss the opportunity to hear from author Ed Mead via Skype and publisher Karl Kersplebedeb about this exciting new text and pick up a copy! See below for a full description of the book. For more info contact us. 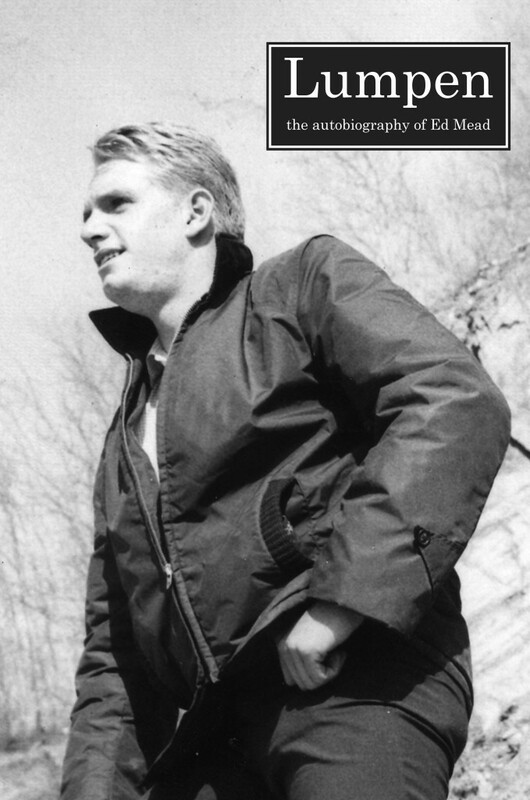 More than a memoir, Lumpen: The Autobiography of Ed Mead takes the reader on a tour of America’s underbelly. From Iowa to Compton to Venice Beach to Fairbanks, Alaska, Mead introduces you to poor America just trying to get by—and barely making it. When a thirteen-year-old Mead ends up in the Utah State Industrial School, a prison for boys, it is the first step in a story of oppression and revolt that will ultimately lead to the foundation of the George Jackson Brigade, a Seattle-based urban guerrilla group, and to Mead’s re-incarceration as a fully engaged revolutionary, well-placed and prepared to take on both his captors and the predators amongst his fellow prisoners. Through his work organizing against conditions in solitary confinement, and then with queer prisoners in the legendary Men Against Sexism, followed by his exile from Washington to the dungeons at Marion, Brushy Mountain, and Florence, Ed Mead’s practice stands as a rebuke to the inhumanity and indifference which surround the world’s largest prison system. As the late Black Liberation Army soldier Safiya Bukhari observed, “we must at least write our history and point out the truth of what we did—the good, the bad, and the ugly.” Ed Mead has done that here, recounting his life’s story with unflinching honesty, providing a model of personal integrity and revolutionary creativity and determination for us all. his sense of humour, his kind heart and his unwavering integrity. and to share memories. All are welcome and refreshments will be provided. away on August 13th, 2015.
family members and friends together once a month through community radio. them over the airwaves on the last Wednesday of each month from 7-8PM. Peter regularly listened to and participated in interviews for this program.